* Buy direct from the manufacturer, all vehicles are brand new, registration is done at the time of purchase in the name of the purchaser. Full factory warranty applies on vehicle, body and refrigeration unit. Bodies are fibreglass insulated with white food grade finish and temperature is controlled from inside the cab via a digital display. A genuine one-stop shop for everything from chassis engineering, fabrication, truck modification, interior layout, gas installation, refrigeration, air conditioning, signage, service, parts and delivery. I'm interested in a Used 2016 3 Pallet Insulated Fibreglass Body Vehicle body (stock #TC004). Please confirm price, specifications and features with Truck Corp.
Truck Corp's actual prices may vary from the published price for a number of reasons, including additional charges applicable under the laws in your state. Contact Truck Corp to confirm the final drive away price that will apply to your purchase. 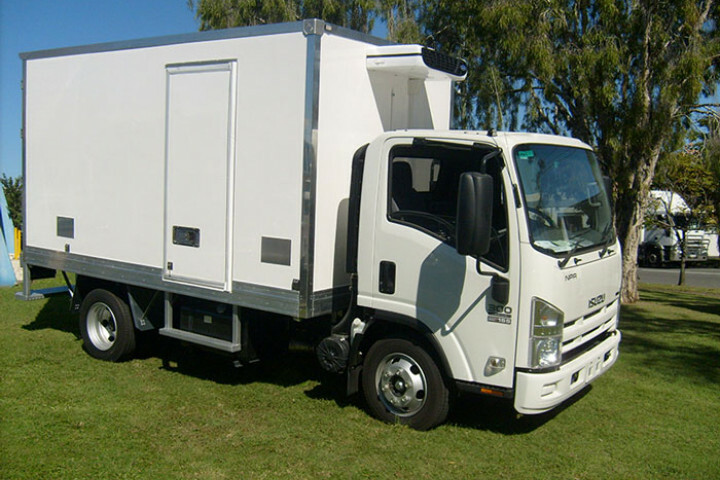 Truck Corp and its providers of data have been diligent in providing accurate and complete information. However, Truck Corp and its providers do not warrant the accuracy or completeness of the data. Please contact Truck Corp to confirm the details of this vehicle. Use of this website indicates your acceptance of our Terms & Conditions.